Pentagon Chief Mattis Quits, Cites Policy Differences with Trump – Coercion Code – "Dark Times are upon us"
US Defence Secretary Jim Mattis abruptly announced his resignation on Thursday, a day after President Donald Trump overruled his advice against pulling troops out of Syria and pressed forward on discussions to withdraw forces from Afghanistan. Mattis will leave by the end of February after two tumultuous years in the post, the latest high-profile exit to shake the Trump administration. In his resignation letter, Mattis told Trump that he was leaving because “you have a right to have a Secretary of Defense whose views are better aligned with yours”. Trump wrote on Twitter that Mattis was retiring – but that’s not what the former Pentagon chief said. The announcement came a day after Trump surprised Washington’s allies and members of Congress by announcing the withdrawal of all US troops from Syria, and as he continues to consider shrinking the American deployment in Afghanistan. Trump’s decision to pull soldiers out of Syria has been sharply criticised for abandoning Washington’s Kurdish allies, who may well face a Turkish assault once US troops leave, and had been staunchly opposed by the Pentagon. Mattis, in his resignation letter, emphasised the importance of standing up for US allies – an implicit criticism of the president’s decision on this issue and others. Philip J Crowley, a former US assistant secretary of state and national security council senior official, said behind Trump’s decision to pull forces out of Syria and the rumoured, at least partial withdrawal from Afghanistan “was the lack of any kind of strategic process within the American national security system”. “These are very consequential decisions,” he told Al Jazeera. “I think both of them are defensible in one way … but in both cases then you need some sort of strategic shift: we finished our military operation here and then we’re moving ahead with a diplomatic initiative there,” Crowley added. Mattis’ departure was quickly lamented by politicians on both sides of the aisle, who viewed him as a sober voice of experience in the ear of a president who had never before held political office or served in the military. “This is scary,” tweeted Senate Intelligence Committee Vice Chairman Mark Warner, who is a Democrat. Mattis’ departure has long been rumoured, but officials close to him have insisted that the battle-hardened retired Marine would hang on, determined to bring military calm and reason to the administration’s often chaotic national security decisions and soften some of Trump’s sharper tones with allies. A White House official said Mattis informed Trump of his decision to leave the administration on Thursday afternoon. Trump said a replacement would be chosen soon. At the start of the Trump administration in January 2017, the president had gushed about his respect for Mattis. The “Mad Dog”, as Mattis was nicknamed, was widely respected in the military. He served for 44 years, holding key positions during the wars in Iraq and Afghanistan and became a senior NATO commander. But Trump and Mattis quickly clashed on major policy decisions. During his first conversations with Trump about the Pentagon job, Mattis made it clear that he disagreed with his new boss in two areas: He said torture doesn’t work, despite Trump’s assertion during the campaign that it did, and he voiced staunch support for traditional US international alliances, including NATO, which Trump repeatedly criticised. Mattis was credited by some in the administration for blocking an executive order that would have reopened CIA interrogation “black sites”. Trump has said the Pentagon chief convinced him it wasn’t necessary to bring back banned torture techniques like waterboarding. En route to his first visit to Iraq as defence secretary, Mattis bluntly rebuffed Trump’s assertion that the US might take Iraqi oil as compensation for US efforts in the war-torn country. The two also were initially divided on the future of the Afghanistan war, with Trump complaining about its cost and arguing for withdrawal. Mattis and others ultimately persuaded Trump to pour additional resources and troops into the conflict to press towards a resolution. Those close to him have repeatedly insisted that he would not quit, and would have to either be fired or die in the job. 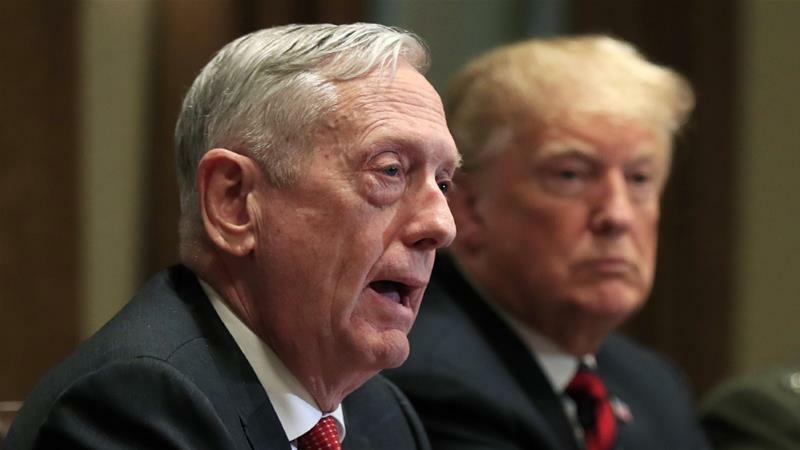 But others have noted that a two-year stint as defence chief is a normal and respectable length of service – Mattis managed to outlast a secretary of state, two national-security advisers and two White House chiefs of staff, among others. He joins a long list of former Trump administration senior figures who have either quit or been removed, some unceremoniously like Secretary of State Rex Tillerson who the president fired via Twitter in March. Trump’s White House has had the highest turnover of senior-level staff of the past five presidents, according to the Brookings Institution think-tank.